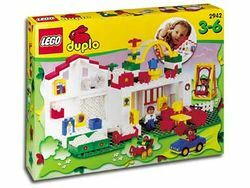 2942 Playhouse is a DUPLO Playhouse set released in 2000. The set contains 77 pieces including four DUPLO Figures. This page was last edited on 9 January 2016, at 07:09.